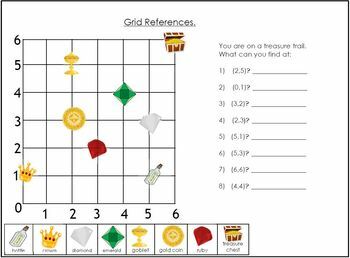 Enjoy this introduction to coordinates in the first quadrant with a treasure theme! 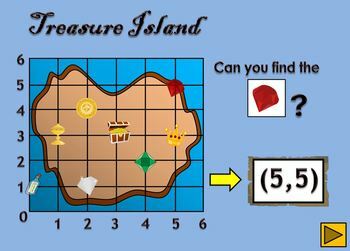 - An interactive PowerPoint presentation asking students to locate different treasure pictures before the answer is revealed. 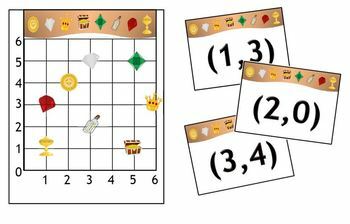 - A treasure game that can be played in pairs, small groups or as a whole class. 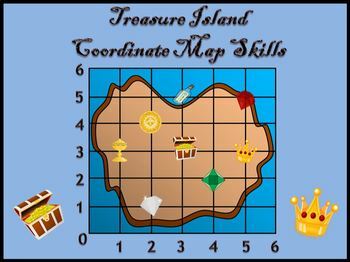 Each student has a game card (34 color copies are included which could be laminated for repeated games) and cross or cover treasure pictures as coordinates are called out.